The Two Witnesses – Would You Want This Job? The Two Witnesses are impressive end time prophets able to stop the rain, send plagues and survive the Beast and False Prophet who they prophesy against. Understandably, they are the subject of much speculation and even envy today among Christians. Christians alternately believe that they are Enoch and Elijah (who allegedly never died), Moses and Elijah (from the Transfiguration), or even Christians among us today who claim to be them. But are they here and do we need to figure out who they are or worry about what happens if we don’t? Find out why they are not here today and no one in their right mind should want to claim to be the Two Witnesses. 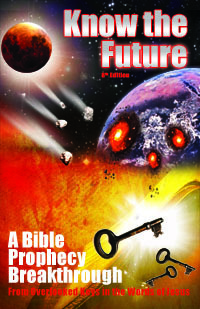 Everyone wants to know when Jesus will return or when the Rapture is, but few do. Understand the timing details in the Bible pinpointing the year, month and even day of these events.